Does the image of Zinedine Zidane wearing number 5 for Real Madrid keep you up at night? Yeah, us too. So much so that we made an entire podcast series about it. Football By Numbers is a podcast about numbers and the players that wore them badly. And to help celebrate the launch of this we put on a colour-by-numbers exhibition at Bad Sports bar and taquiera on Hackney Road. 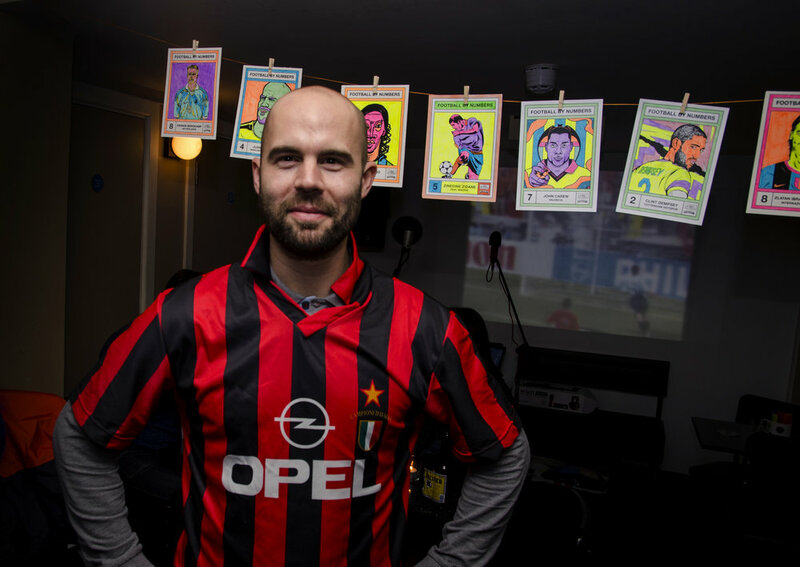 We got some of the best illustrators in the world of football to provide us with black and white illustrations which guests could colour in with felt pens and highlighters provided on the night. There was also a live FBN edition of hit 90s show 'Blind Date', hosted by Tony Dorito (evil twin of Tony Dorigo). Bit weird.